Gotse Delchev (Bulgarian: Гоце Делчев), is a town in Gotse Delchev Municipality in Blagoevgrad Province of Bulgaria with a population of 20,522. In 1951 the town was renamed after the Revolutionary hero Gotse Delchev. It had hitherto been called Nevrokop (in Bulgarian: Неврокоп, Nevrokop; in Greek: Νευροκόπι, Nevrokopi; and in Turkish: Nevrokop). Nearby are the remains of a walled city established by the Romans in the 2nd century AD. The town was a kaza in Syar sanjak of Selanik vilayet before the Balkan Wars. Gotse Delchev is situated in a mountainous area. Located about 200 km (124 mi) from the capital - Sofia and 97 km (60 mi) from the city of Blagoevgrad in the southern part of Blagoevgrad district. The town center is 545 m (1,788 ft) above sea level. The Gotse Delchev Hollow is characterized by a continental climate; rainfall occurs mainly during spring and autumn, and summers are hot and dry. Winter temperature inversions are possible. Nicopolis ad Nestum was one of two fortified towns founded to mark Emperor Trajan’s victory in 105-106 AD over the Dacians. The area had been inhabited for about 14 centuries and attained its peak in late antiquity (4th-6th centuries AD). The original town occupied about 25-30 decаres. The Slavs destroyed Nicopolis in the 6th-7th centuries but it re-emerged as a medieval settlement in the late 10th century. Nevrokop became part of the Ottoman Empire sometime between 1374 and 1383, when the Ottoman Turks captured Serres and Drama. The town was included in the Ottoman documents sometime after the final conquest of Thessaloniki by the Ottoman Empire in 1430. Under the name Nevrokop the town is mentioned in the following descriptions in the Ottoman Tahrir defter Mal. № 525 from 1444, which was described as a large Christian village - center of ziamet, numbering 131 households, 12 singles and 24 widows. Thus Nevrokop was the largest settlement in the region. Then Nevrokop developed very quickly and became a Muslim city. Ottoman tax registers from 1464 - 1465 year marks 208 Christian households, 50 singles and 19 widows and 12 Muslim households. During the 1478-1479 registration year Nevrokop recorded 393 Christian households, 31 widows and 42 Muslim households. In the 1480s, a large domed mosque and Islamic school were founded in Nevrokop by Mehmed Bey, son of Karadja Pasha. This mosque is the only Ottoman architectural monument in the city which survives to this day. In 1512 Koja Mustafa Pasha founded a second mosque, a bath and second school. The Ottoman Tahrir defderi № 70 mentioned the actual census of households in 1519, in which 167 Muslim households, 67 unmarried Muslim and 315 Christian households, 26 unmarried and 69 widows. The village, which in 1464 was only 4% Muslim, had a significant number of Muslims. The increase in the number of Muslims is evident from Tahrir defderi № 167 1530. Muslims increased to 295 households and 52 singles and Christian households were 381, 43 unmarried and 71 widows. The city had two mosques, three schools, one bath and three maktabs. In 1565 Sultan Suleiman I issued a decree for the construction of a mosque to commemorate his son Shahzade Mehmed. The number of neighborhoods also illustrates this trend: in 1530 there were five Muslim and 13 Christian, and in 1569 there were 13 Muslim and Christian 6. In the 17th century there was a decline in the growth of the city. Hadji Kalfa mentioned Nevrokop as a judicial center and noted the presence of mines around the town with rich deposits of iron ore. In the official list of the judicial centers 1667 - 1668 Nevrokop ranks fourth among the twelve judicial centers in Rumelia, which clearly shows its importance as a town. The most detailed description of Nevrokop in Ottoman times is given in Volume VII of the Ottoman traveler Evliya Çelebi. He describes the city as a big, nice, with many mosques, twelve minarets, tekkes of dervishes, inns, hammams, schools and many beautiful houses and residences of numerous provincial administration. After military marches in the second half of the 17th century and the plague of 1699 and 1717 in 1723 in Nevrokop registered only 86 Muslim and 42 Christian households. At that time, the city had a total of 10 mosques and 5 Muslim prayer houses. In 1820 the last mosque dome was built, of which today remained only a few pictures. The register from 1906-7 mentions that there were 20 neighborhoods, 1,432 houses, 598 shops, 12 mosques, four prayer houses, two churches and no fewer than 8 tekkes. In addition, it had seven Muslim and two Christian schools. Nevrokop in the Ottoman times became a center of cultural life. Among the famous artists born in the city are Rana Mustafa Efendi Nakshbendi - in service to Muhammad Ali of Egypt. Nakshbendi died in 1832 in his hometown Nevrokop. He is likely to have inspired the last Nevrokop mosque, which closely resembled the buildings erected by Muhammad Ali in Kavala in 1818 - 1821. Zyuhri Ahmed Effendi, the founder of the religious current "zyuhrie" was born also in Nevrokop. He died in Thessaloniki in 1751 and was buried in the tekke, which he had built in his lifetime. A. Sinve in his work Les Grecs de l'Empire Ottoman. Etude Statistique et Ethnographique, which is based on Greek data, wrote in 1878 that in Nevrekop (Névrékop) lived 1,200 Greeks. In 1889 Stefan Verkovich notes Nevrokop as a city with 209 Bulgarian, 1,675 Turkish and 38 Aromanian houses. In 1900, in the whole Nevrokop region of 123 villages there were 12,500 Turkish-speaking Muslims, 26,960 Bulgarian Muslims and 35,310 Bulgarian Christians, the latter include oriented pro-Greek Vlachs. In the 19th century, along with agriculture, husbandry and beekeeping, the town of Gotse Delchev developed coppersmith and goldsmith crafts, packsaddle manufacturing, homespun, leather and timber trade. Local traders carried goods to sell them at fairs in Serres, Drama, Melnik and Uzundzhovo. Since the second half of the 19th century, every year in August the Nevrokop Fair was held, which attracted merchants from the Ottoman Empire, Austria-Hungary, France and other countries. In 1808-1811 the Christian community in the town built a small church dedicated to the Archangels Michael and Gabriel. During the years 1833-1841, they built a large and monumental church "Holy Virgin Mary", which is a result of reforms in the Empire. The Bulgarian population of Nevrokop stood against the Greek clergy for church independence and early Bulgarian education. In 1862, the town had its first Bulgarian school with the first teacher Todor Nenov, and in 1867, a school for girls was opened. The Greek Orthodox Bishop Agathangel allowed the use of half the urban school for Bulgarian school, but after protests of Greeks and Vlachs the Bulgarian school was closed and Nenov expelled. Bulgarians in the city threatened communion with the Pope, and the bishop reopened the Bulgarian school. In 1865, a community center was opened; in 1870, a female community. In 1873 was formed a teachers' community "Enlightenment," which played an important role in the struggles of the Bulgarians. The Bulgarian communities in Plovdiv and Pazardzhik had a positive impact on the cultural revival of Nevrokop; they assisted with teachers, teaching materials, books and money. After the Russo-Turkish War in 1877-1878 and the Berlin Congress of 1878, Nevrokop remained within the Ottoman Empire (as did the whole of Macedonia). The divided Bulgarian lands became the arena of the process of national unification. In May 1878, representatives of the Bulgarian community in Nevrokop signed the "Memorandum of the Bulgarian church and school communities in Macedonia", stating that they wanted to join Macedonia in the newly formed Bulgarian state. The "Ethnography of vilayets Adrianople, Monastir and Salonika", published in Constantinople in 1878, reflects the male population statistics of 1873: it indicates that Nevrokop had 1,912 households with 3,800 Muslim inhabitants, 1,000 Bulgarians, and 150 Vlachs. After the war, the city had 600 to 700 Bulgarian families and 40-50 Vlachian. The Bulgarian community, led by the minister Dimitar Ikonomov, kept one boys' and one girls' school. In 1891 George Strezov said that the number of houses in Nevrokop was 1229 and the population amounted to 11,000 people - mostly Muslims. Christians lived in two neighborhoods, "Varosh" and "Kumsala". Recently settled Jews concentrated the urban commerce in their hands. There were two churches, one of which was under the control of the Greeks. In the town were Bulgarian boys' and girls' schools with 80 students; there were also Greek boys' and girls' schools. After long and persistent struggle of the local Bulgarians in Nevrokop in 1894, the Sultan issued a "berat," or decree, about the creation of the "Nevrokop Bulgarian Diocese", under the jurisdiction of the Bulgarian Exarchate with the first Primate Metropolitan Hilarion. In 1900, according to statistics of Vasil Kanchov "Macedonia. Ethnography and statistics", the Nevrokop population was 6,215, including 850 Bulgarians, 5,000 Turks, 190 Vlachs, 110 Jews and 65 Gypsies. During the Ilinden–Preobrazhenie Uprising in the fall of 1903 in the Nevrokop area there were revolutionary activities. According to statistics of the secretary of the Bulgarian Exarchate Dimitar Mishev ("La Macédoine et sa Population Chrétienne"), in 1905 Nevrokop's Christian population consisted of 1,016 Bulgarian Exarchists, 288 Bulgarian patriarchists, 60 Greeks, 168 Vlachs, 116 Gypsies. The city operated one elementary and one lower secondary Bulgarian school with 6 teachers and 151 students, and two Greek schools starting with 6 teachers and 77 students. In the official statistics of the Vilayet of Thessaloniki from 1906-1907, in Nevrokop were counted 20 neighborhoods with 1,432 houses, 598 shops, 12 mosques, four mesjids, two churches and more than 8 tekkes, describing a well developed and organized Muslim community. In addition, there are seven schools for Muslims and two for Christians. Greek source mentioned in 1908 that the town had 5,900 inhabitants, of whom 3,865 were Turks, 490 Muslim Gypsies, 595 Christians belonging to the Greek Orthodox Church and 900 Christians belonging to the Bulgarian Exarchate. The same source mentioned that Nevrokop area was predominantly Muslim - an average of 51,000 out of 83,000 inhabitants. At the outbreak of the Balkan War in 1912, fifty-seven people of the city were Macedonian-Adrianople volunteers. The town became part of Bulgaria after the First Balkan War of October 19, 1912. The first mayor of the city after the liberation was the poet Peyo Yavorov. The inclusion of the area within the Kingdom of Bulgaria led to mass exodus of Muslims from the town and to a lesser extent, from the villages. In their place settled Bulgarian refugees from the region of Serres and Drama, whose homelands fell under the rule of Greece. The census of 1926 noticed clearly the changes. At that time in Nevrokop there were only 1,057 Turks, while Bulgarians numbered 5,882 people. The census of 1934 showed, that that trend continued - 824 Turks and 7,726 Bulgarians were counted. According to the same census in the Nevrokop region live about 15,000 Muslims. After the liberation of the city from the Ottoman rule in Nevrokop began a slow process of resettlement of refugees from Aegean Macedonia in the years between the Balkan Wars and the First World War, which changed the whole look of the city. Late Baroque Bulgarian houses were built in the central part of the town, whose architecture had been preserved ever since. In 1922 forces of the Macedonian Federative Organization with the support of the Bulgarian government attacked the IMRO local detachments. As result of this unrest on October 17 Nevrokop was occupied by forces of IMRO, who banished the Federalists, but with no further serious consequences. In the years of the Bulgarian resistance movement during World War II a formation led by Aneshti Uzunov operated in the region. After his death in 1943 it was named after him. On September 11, 1944 the Partisans from that formation came from Garmen and took control of the area. After the Bulgarian coup d'état of 1944 the newly established government started major persecution of people, who were in any way affiliated to the former fascist government and its local authorities. Many people were arrested and some of them were executed without legal sentence, some were sentenced to death by the special People's Court. Many of the detainees were imprisoned to life or for different terms. Some of the accused were declared "missing" and never appeared. Thus many supporters or members of IMRO were persecuted. Many of them fled abroad. In 1951 Nevrokop was renamed after the revolutionary Gotse Delchev. In the following years the agriculture remained the main source of income due to the fertility of the arable land and the favorable climate in the Gotse Delchev hollow. The cooperative farming was enforced and after 1971 the land was fully nationalized. The food, wood and tobacco processing industry were developed, so the most of the production from the area was processed there. Plants for FM radio transmitters, parts for tower cranes, plastic goods, zippers and clothing were built. The road system of the region suffered lack of repair and improvement and the transportation became long and expensive. The railroad was never built neither even planned. The distances from Blagoevgrad and Sofia and the difficult roads in the winter led to further isolation of Gotse Delchev. The closed border with Greece and the special admission control because of it contributed for the process. The town lost its previous importance and even the seat of the Nevrokop Metropolitan Orthodox bishop was transferred to Blagoevgrad. After the changes in the political life in 1989 the restitution of the properties and the privatization of the state-owned industries the economy of Gotse Delchev reshaped and especially the agriculture. Most of the assets of mechanized farming were lost. The arable land was divided to small pieces and some of the owners did not cultivate it and many deserted areas appeared. Some of the industrial subjects were closed or worked at minimal rate. In the recent years the heavier industries were abandoned, but the light industry and the processing factories bloomed. After the opening of the new border-crossing point between Gotse Delchev and Drama, Greece in 2005 the town gained new importance. The roads leading to the region were repaired and improved. 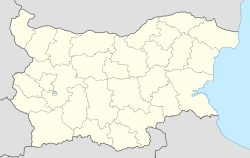 The municipality has been isolated from the big industrial centers in Bulgaria due to its geographic location near the closed border with Greece for about sixty years and the lack of natural resources, the long distances between Gotse Delchev and other bigger towns, and the narrow and poorly maintained roads. After the opening of the Ilinden–Exochi border-crossing and improving the road system in the area, the economy of the municipality changed. The light industry is well presented in the town of Gotse Delchev. The textile and shoe industry, zipper production, plastics processing, paper industry, wood industry and wood processing, tobacco growing and processing are the major sources of the income of the municipality. There are no big department stores, but a wide variety of smaller shops are present in the town. The Mediterranean influence in the wide valley of the Mesta river is favorable for modern and productive agriculture. Tobacco was the most important crop in earlier years, representing a large part of the region's agriculture; however, the worldwide decline in smoking and a change in the state policy of subsidies for tobacco production have caused tobacco farming to decrease. People also grow wheat, maize for grain, beans, sunflowers, potatoes, tomatoes, peppers, apples, vineyards, strawberries, raspberries, blackberries and other fruits. The only transportation available in the town is by automobile. Most of the streets are paved. Buses connect the town with Sofia, Blagoevgrad, and the villages in Gotse Delchev municipality, as well as Garmen and Hadzhidimovo municipalities. Multiple cell phone operators cover the town; there are also land-line telephones, Internet and cable TV. The electricity and water supply utilities cover the whole town. The town and the municipality are governed by a Mayor and by the Municipal administration. The current mayor, serving his fifth term (as of 2014[update]) is Vladimir Moskov, from the BSP. A regional police department and a branch of the Blagoevgrad firefighting department are located in the town. Kindergarten with nursery group №2 "Gianni Rodari"
1st Primary school "St. St. Cyril and Methodius"
2nd Primary School "Gotse Delchev"
3rd Primary School "Miladinov Brothers"
School for children with special educational needs "Vasil Levski" with an orphanage "Ivan Kyulev"
The school has admission programs both for primary education (after fifth grade), and for secondary education (after seventh and eighth grades), with programs in science and the humanities. Nevrokop Vocational School (NPG) "Dimitar Talev"
Nevrokop Vocational School (NPG) "Dimitar Talev" was founded in 1965 as a vocational-technical school in electro-technology. Over the years, the school grew into the School of Electrical Engineering, which provided primary staff to the factory for FM stations "Mikhail Antonov". After the democratic changes of 1989 and the subsequent closure of the plant, the school was restructured into a modern high school. Professional machinery high school "Peyo Yavorov"
Widely known as the Professional School of Agricultural Mechanization, "P. Yavorov" is the successor of the original agricultural school in Gotse Delchev, which was opened in 1929 with 500 acres (202 ha) of farmland. The school went through many changes over the years. During the month of July 1959, the Agricultural School was opened with the following specialties: tobacco, wine, horticulture and animal husbandry, which was housed in the Primary school. The first class included 105 students from across the country. In 1963 the school was given 200 acres (81 ha) of farmland and a tractor. During the academic year 1968-1969, the school was transformed into a practical agricultural school. From the academic year 1974-1975, the school grew into a Vocational Technical School, specializing in mechanization of agriculture. In 1983, the school moved to the newly built school building, and in 2003 it was renamed Vocational School for mechanization of agriculture. Health care in the town is relatively well organized. There is a Municipal hospital, "Dr Ivan Skenderov," which provides hospital treatment for patients from the region. The hospital has ten departments: internal medicine with cardiology unit, surgery, oto-rhino-laryngology with ophthalmology unit, trauma and orthopedics, pediatrics, neurology, nephrology with dialysis unit, obstetrics with neonatal care unit, intensive care and infectious diseases. In 2001, the Union of Evangelical Free Church Congregations in Germany opened a private hospital, "Symbol of Hope," for endocrine diseases, with the intention to provide affordable health services for poor people. But after several years the hospital closed. In 2011, the hospital reopened with different specialties: vascular surgery, orthopedics and trauma care, and mobile home care. Two medical centers with different specialists and several general practitioners provide primary health care. There are also several dental clinics, which provide both modern and traditional services. Emergency treatment is provided by a special state-owned unit. The population of the town is predominantly Orthodox Christian. The town had been a diocesan seat of the Nevrokop Orthodox diocese, but now it is moved to Blagoevgrad, without changing the name. There are three Orthodox churches in Gotse Delchev. The Muslim population in the town has no mosque, because the only one, dating from the Ottoman period, is almost ruined. There are some plans for restoration, but without results. Gotse Delchev is the seat of the Regional Mufti for Blagoevgrad Province. There are some evangelical churches in Gotse Delchev too. Gotse Delchev does not have any major tourist attractions, although there are several hotels and restaurants in the town. It is surrounded by three mountains: Pirin, the Rhodope mountains and Alibotush, offering numerous natural beauties. There is a historical museum in the center of the town. The village of Delchevo is of architectural interest, with old Bulgarian Renaissance houses; some of them are opened as guest-houses. The resort "Papazchair" on the road to Sandanski is open during all seasons, including some opportunities for skiing. Gotse Delchev is near the ruins of the Roman town Nicopolis ad Nestum and not far from the village of Kovachevitsa, a famous architectural reservation. PFC Pirin Gotse Delchev is playing currently (as of 2014[update]) in the top tier of Bulgarian football, the A Professional Football Group, for the first time in the club's history. The club was founded in 1925 and plays in the "Gradski Stadion," with a capacity of 5000 attendees. There are also other clubs for different sports: amateur wrestling "Pirin 29A", handball, basketball, chess, extreme sports and karate. Wikimedia Commons has media related to Gotse Delchev, Bulgaria.